Designed with a locking mechanism to help provide a secure connection, this extension cord brings electric power beyond the source, to places that are difficult to reach or where outlets may be scarce. It resists abrasion as well as harsh weather conditions and extreme temperatures. 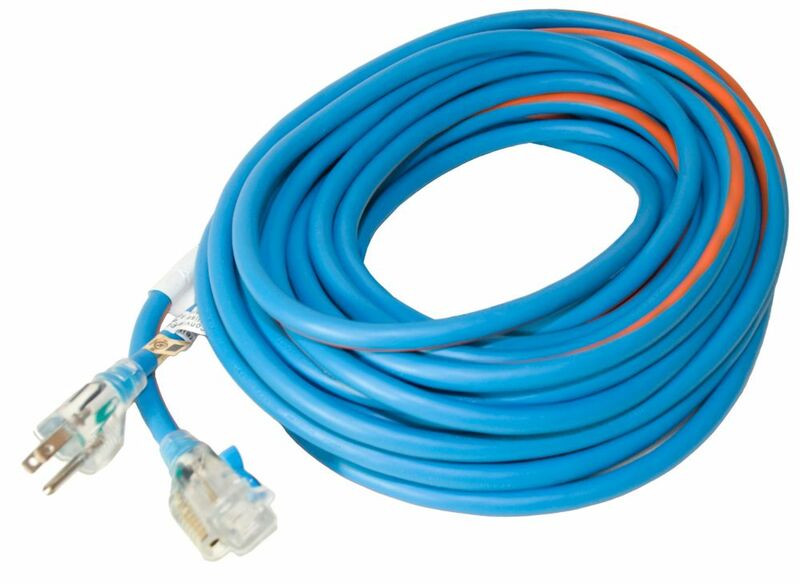 This locking extension cord is a light-duty polarized locking extension cord that is ideal for outdoor garden work conditions. Length (ft.): 35, Gauge: 16/2, Plug Type: 2 conductor, Push-N-Lock connector prevents unwanted disconnects, Light-duty plug and connector won't separate from the cord, Cord maintains flexibility from -40-Fahrenheit up to 140-Fahrenheit as it is made for outdoor use, Cord is water, weather, abrasion and flame retardant. SJEOW 12/3 15.2M (50Feet) Single Lit Locking end - Orange/Blue is rated 5.0 out of 5 by 1. Rated 5 out of 5 by Jerthebear from Very durable I bought this a month ago and it has withstood the renovation of my cottage i.e. dragged over ruff surfaces, left out in the rain, rolled and tossed in the back of my pick up truck multiply times. Excellent quality!